Rasoi Tours and Travels is the best package tour operator in Kolkata and Kalyani, Nadia West Bengal. Rasoi Tours and Travels is the best travel agency for conducting Domestic and International tour packages, as domestic tour operator. Pattaya is Asia's premier beach resort, and caters with equal appeal to families, couples, single visitors and honeymooners. Accommodation in Pattaya ranges from luxurious beachside hotels with superb facilities to simple guesthouses. Gaming and Sporting opportunities abound both on land and water, include some of the finest golfing, game fishing and scuba-diving. Theme and amusement parks, Coral island, Crocodile Park, floating market, offbeat museums and Alcazar show offer numerous forms of leisure activities for all in Pattaya. Arrive in Bangkok. Sightseeing at Bangkok/Pattaya/Alcazar Show Upon your arrival in Bangkok, you will be given a warm reception and will be transferred to Pattaya, which is a short 2 hour drive from Bangkok. A tropical beach resort town, Pattaya is a perfect place to laze around under swaying coconut trees, exploring white sandy beaches and crystal azure waters. Check in to the hotel. In the evening enjoy at The Alcazar Show. The Alcazar is an unique blend of acting, stage design, costumes and glamorous actors performing together in a mesmerizing melange of light, sound and color. After the scintillating Alcazar experience, enjoy your overnight stay at the hotel. Sightseeing at Pattaya Enjoy your breakfast and then speedboat your way into the sparkling blue waters of the Gulf of Thailand to reach the serene Coral Island, Koh-Lan. Enjoy the water sports like snorkeling, parasailing, water scooter, etc. At Coral Island (Own cost) and enjoy lunch on the beach. Overnight stay at the hotel. 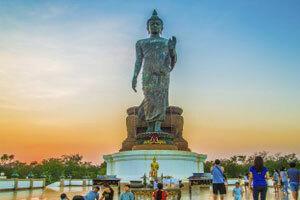 Sightseeing at Bangkok After breakfast, enjoy your journey back to Bangkok where you will go on a cultural excursion visiting ancient temples and attractions of the city. 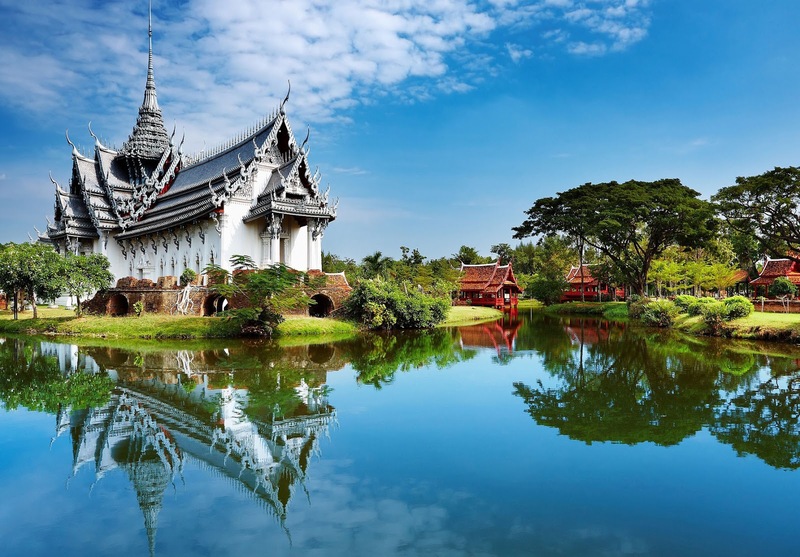 Over 26,000 Wats (temples) encapsulate Bangkok spiritual heritage. Wat Trimitr (Temple of the Golden Buddha), home to a 5.5 ton statue of Buddha made from solid gold is a fine example of Sukhothai art. Wat Po (Temple of the Reclining Buddha) is the largest and oldest shrine of its kind in Bangkok. Evening free for shopping. Overnight stay at the hotel. Sightseeing at Bangkok After breakfast, proceed to Safari World with Marine Park, which is Thailand's popular open zoo and Leisure Park. It is divided into four sections, i.e. the Safari Park, Bird Park, Games Corner and Macaw Island. Witness the picturesque African settings, experience intimate encounters with dolphins, orangutans, seals and a myriad of other exotic animals and birds. Enjoy your Indian lunch in the serene settings of the Safari World. Overnight stay at the hotel. DEPART After breakfast, proceed to the airport to catch your flight back to India. Australia is a beautiful blend of cultural diversity and colorful natural beauty. From wildlife to farming lands, from deserts to beaches, tourist can enjoy anything and everything with Australia Packages. 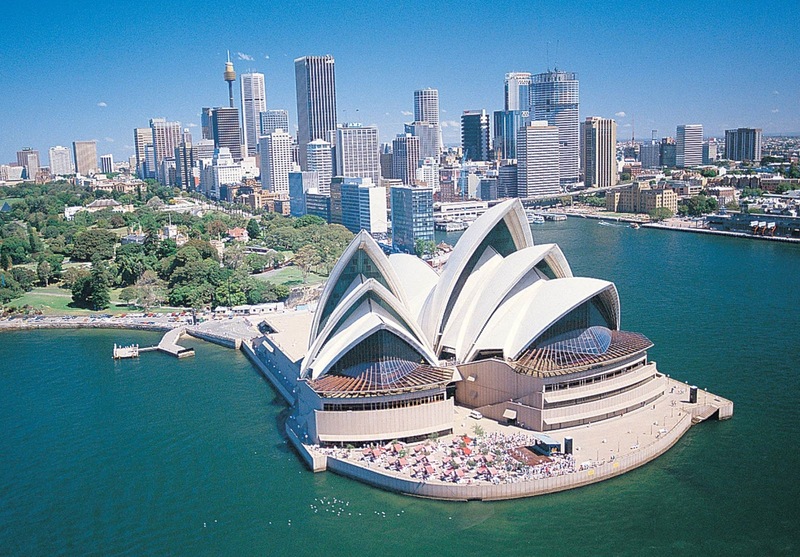 Be in Gold Coast and get fascinated by the movie characters in the Movie World or go on a sightseeing tour of Sydney to visit its landmark monuments like Opera House with Gold Coast & Sydney Tours Packages. Move towards Cairns, the fascinating city in Australia to catch a glimpse of the marine animals or visit Great Barrier Reef, noted as the world heritage site when on Cairns Holidays. Explore the land of man-made wonders and god gifted beauty only in Australia. Itinerary (3N GOLD COAST/ 2N CAIRNS / 3N SYDNEY) Day 1: ARRIVE BRISBANE – TRANSFER TO GOLD COAST "SURFERS PARADISE" Welcome to Australia!!! Arrive at the Brisbane airport, and transfer by coach to Gold Coast hotel. Arrive at the hotel and check in (Early check- in is not guaranteed). Rest of the day free for leisure on your own. Stay overnight at the hotel in Gold Coast. ARRIVE BRISBANE – TRANSFER TO GOLD COAST "SURFERS PARADISE" Welcome to Australia!!! Arrive at the Brisbane airport, and transfer by coach to Gold Coast hotel. Arrive at the hotel and check in (Early check- in is not guaranteed). Rest of the day free for leisure on your own. Stay overnight at the hotel in Gold Coast. Stay overnight at the hotel in Gold Coast. VISIT TO – SEA WORLD After breakfast proceed for the visit to Sea World a marine mammal park with Oceanarium and has animal exhibits. Stay overnight at the hotel in Gold Coast. DREAMWORLD OR MOVIE WORLD After breakfast, proceed for the visit to any one (Dream World or Movie World) of the theme parks by coach. Dream World is the largest theme park with 27 rides and is made up of several themed lands. Movie World is a popular movie related theme park with movie characters. Stay overnight at the hotel in Gold Coast. DEPART GOLD COAST – ARRIVE CAIRNS After breakfast, check out from the hotel and transfer by coach to Brisbane or Gold Coast airport for your flight to Cairns. Arrive at Cairns airport and transfer to the hotel. Rest of the day free for leisure on your own. Stay overnight at the hotel in Cairns. FULL DAY TOUR – BIG CAT GREEN ISLAND REEF CRUISE After breakfast, proceed for the Big Cat Island Reef cruise tour with lunch which specializes in discovering the Great Barrier Reef. Here you can view the wonderful underwater marine life, participate in snorkeling, view the coral life by the Glass bottom boat or semi – submarine tour. Stay overnight at the hotel in Cairns. DEPART CAIRNS – ARRIVE SYDNEY "JEWEL OF SOUTH PACIFIC" After breakfast, check out and transfer to Cairns airport to board the flight to Sydney – One of the Australia's best known city. Arrive and check in at the hotel. Rest of the day free at leisure on your own. Stay overnight at the hotel in Sydney. 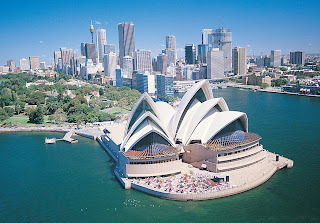 SYDNEY CITY TOUR & SYDNEY SHOWBOAT INDIAN DINNER CRUISE After breakfast, proceed for the Sydney city tour which covers Opera House, Sydney Harbour Bridge, the famous Manly Beach, and Darling Harbour. After the tour get down at the Kings Street and proceed to the Aquarium with Mono rail with Sydney tower. Later in the evening join the Sydney Showboat cruise with Indian Dinner cruise. Stay overnight at the hotel in Sydney. BLUE MOUNTAIN TOUR & WILD LIFE PARK TOUR & SCENIC RIDE After breakfast, proceed for the full day tour to Blue Mountain tour with Wild Life Park which includes visit to Echo point, Katoomba, Three Sisters rock formation. Later proceed for light lunch and return rides at the Scenic World on the cable way and Scenic railway. Also visit to the Featherdale Wildlife national park where you can click photos with cuddly koalas, kangaroos and cute little penguins. Stay overnight at the hotel in Sydney. DEPART SYDNEY Today morning after breakfast, check out from the hotel and transfer to the airport for your flight back to home bound. Europe 6th largest continent, including adjacent islands. It is actually a vast peninsula of the great Eurasian land mass. By convention, it is separated from Asia by the Urals and the Ural River in the east; by the Caspian Sea and the Caucasus in the southeast; and by the Black Sea, the Bosporus, the Sea of Marmara, and the Dardanelles in the south. The Mediterranean Sea and the Strait of Gibraltar separate it from Africa. Europe is washed in the north by the Arctic Ocean, and in the west by the Atlantic Ocean, with which the North Sea and the Baltic Sea are connected. Physical Geography: The huge Alpine mountain chain, of which the Pyrenees, the Alps, the Carpathians, the Balkans, and the Caucasus are the principal links, traverses the continent from west to east. The highest points are Mt. Elbrus in the Caucasus and Mont Blanc in the Alps. Europe's lowest point is the surface of the Caspian1 Sea. Between the mountainous Scandinavian peninsula in the north and the Alpine chain in the south lie the Central European Uplands surrounded by the great European plain, stretching from the Atlantic coast of France to the Urals. Arrive in Nice Welcome to Nice – the pearl of the French Rivera. Upon arrival meet our experienced tour manager at the arrival hall and then transfer to your hotel. Later in the evening visit the Promenade Des Anglais (English Promenade) and the pebble beach. Enjoy your dinner at an Indian restaurant and stay overnight at the hotel in Nice area. (Dinner). Drive from Nice to Cannes, Monaco and back to Nice After a continental breakfast, head for a full-day guided tour. Visit Cannes to see the famous Cannes Film festival venue, enjoy lunch at an Indian restaurant and later proceed to Eze to visit the famous Fragonard Perfume factory. We then visit Monaco – one of the smallest countries in the world. Sights here include the Monaco Castle, the F1 race tracks and the Monte Carlo Casino. We then proceed back to Nice, enjoy dinner at an Indian restaurant and stay overnight at the hotel in Nice area. (Breakfast, lunch and dinner). From nice to Pisa After a continental breakfast in the hotel, you are transferred to Pisa. Upon arrival, proceed for lunch at an Indian restaurant and then head out to visit the 'Field of Miracles', wherein stands the grand Romanesque Pisano styled marble cathedral. You also get to see the Baptistery and the Bell Tower, known throughout the world as the Leaning Tower of Pisa. Later proceed to Arezzo, enjoy dinner at an Indian restaurant and stay overnight at the hotel in Tuscany area. (Breakfast, lunch and dinner). From Arezzo to Rome After continental breakfast, check-out of the hotel and proceed to the Italian capital of Rome. On arrival proceed for lunch at an Indian restaurant. After lunch, we take you to the Vatican – the world's smallest nation is the seat of Christianity and St. Peter's Basilica. Later, you will visit Sistine Chapel – the best known chapel in the Apostolic Palace, the official residence of the Pope in Vatican. We also see Piazza Venezia and the colossal Victor Emmanuel II Monument. Re-live the thrills of historic Rome as you view the ancient Roman and Imperial forums. Also see the famous Trevi Fountain, where a Roman legend has assured your return to Rome, if you throw a coin over your left shoulder into the fountain. Enjoy your dinner at an Indian restaurant, check-in and relax overnight at the hotel in Rome. (Breakfast, lunch and dinner). Rome to Naples and Capri and back After continental breakfast, we proceed on an exciting day trip to Naples and Capri. Upon arrival in Naples, you will board a jet boat for the 45-minute crossing to Capri. After enjoying an Italian lunch you will be transferred to the port of Capri where weather permitting, you will board a motorboat to reach the Blue Grotto, where sunlight passes into an underwater cavity and shines through the seawater, creating a magical blue reflection that illuminates the cavern. OR you'll board a minibus for a scenic drive to Anacapri, 918 feet (280 meters) above sea level . You will be amazed to see wonderful views of the Bay of Naples. At the end of the day you will be transferred back to Rome via Naples. In Rome, have dinner at an Indian restaurant, check-in and relax overnight at the hotel. (Breakfast, lunch and dinner). Drive from Rome to Florence and Padova After a continental breakfast, we proceed to Florence. On arrival, proceed for your lunch at an Indian restaurant after which, you will be taken for a guided walking tour of Florence. Later go up hill the Piazza Michelangelo, which is on a hill on the south bank of the Arno River, just east of the center of Florence, we get a birds eye-view of the city of Florence. Designed in 1869 by Poggi, it offers a great view of the city and is a very popular tourist destination. Later proceed to Padova, where upon arrival, you will be taken to an Indian restaurant for dinner and thereafter to a hotel for overnight stay. (Breakfast, lunch and dinner). From Padova to Venice to Innsbruck After breakfast at the hotel, proceed to Venice and on arrival, you will be taken on an orientation tour of the city. We drive over the Mussolini's Bridge of Liberty and then take a water taxi ride over the Giudecca canal to St. Mark's Square at the very heart of Venice. Here, we see the historic Ducal Palace, the infamous prison, the Bridge of Sighs, the exquisite Clock Tower and the baroque splendor of St. Mark's Basilica. We then visit the Murano Glass factory, where a master craftsman will demonstrate the art of creating the famous Venetian blown glass. After lunch, you will be transferred to Innsbruck in Austria where you will proceed for an Indian dinner and head for an overnight stay at a hotel in Innsbruck. (Breakfast, lunch and dinner). From Innsbruck to Vaduz and then on to Lucerne / Zurich After breakfast, proceed to Wattens, where you will explore the world of crystals by visiting the Swarovski Crystal Museum. We now proceed for your orientation tour of Innsbruck and visit the Goldenness Dachl also called the Golden roof, an ornate Gothic balcony and a symbol of the city. Also, see the 17th century fountain with the equestrian statue of King Leopold V, St. Annes Column, the Triumph forte which is also called the Innsbruck Arch of Celebration and the Heiblinghaus – a building resembling a wedding cake. After the sightseeing, enjoy an early lunch at Indian restaurant. After lunch, you will be taken to Vaduz – the capital of Liechtenstein. After enjoying the Toy train ride, you also have the opportunity of getting your passports stamped at a nominal fee. After you have enjoyed the sights of Vaduz, proceed to Zurich/Engelberg / Lucerne. On arrival proceed for dinner at an Indian restaurant, followed by stay at Zurich/Lucerne/ Engelberg area. (Breakfast, lunch and dinner). Drive from Lucerne to Jungfraujoch and back to Lucerne Optional Day: Visit to Jungfraujoch with Indian lunch in Bollywood restaurant and visit to Interlaken. After a continental breakfast, the rest of the day is at leisure. You can spend the day in the comforts of the hotel or explore the area with our optional excursion to Jungfraujoch, which can only be reached through a 7.3 km long cog railway tunnel. Capture some memorable experiences in Ice Palace, the Ice Plateau One of the highlights of the day is the Indian lunch at the famous Bollywood Restaurant; after which you shall proceed to Interlaken. This resort town is situated between the lakes of Thun and Brienz in the heart of the Swiss Alps and is very popular shooting spot for Bollywood movies. Enjoy an Indian dinner at an Indian restaurant and return to you hotel in the Zurich/ Lucerne/Engelberg area for overnight stay. (Breakfast, optional lunch and dinner). Engelberg, Mt. Titlis and Lucerne After a continental breakfast at the hotel, enjoy a full day excursion to Mt. Titlis, the highest glacier destination and the biggest ski and snowboard paradise in central Switzerland. The last leg of the journey involves the world's first rotating cable car called the Titlis Rotair. At Mt. Titlis, you have free time to play and enjoy in the snow, visit the Ice Grotto or just relax at the restaurant.. The visit is topped off by a delicious Indian lunch at the summit. Next, we have kept the best for the last. Visit the 100-metre long, highest suspension bridge in Europe situated at more than 3,000 meters above sea level. After the Mt Titlis experience, proceed for an orientation tour of Lucerne, one of the six most frequently visited cities in the world. One of the most famous sights here is the Lion Monument, hewn from a limestone cliff to commemorate the bravery and loyalty of Swiss Guards. Take a stroll across the Kappelbruke, the world's oldest covered wooden bridge, originally built in 1333 over the River Reuss. Enjoy an Indian dinner at an Indian restaurant and return to you hotel in the Zurich/ Lucerne/Engelberg area for overnight stay. (Breakfast, lunch and dinner). Drive from Lucerne/Engelberg to Schaffhausen and Heidelberg After breakfast, proceed to Schaffhausen and take a photo stop at the Europe's biggest waterfall – the Rhine Falls. Here you can also take a boat ride to the very base of the falls. Later we proceed to the Black Forest region of Germany and visit Drubba where you can see a demonstration of how cuckoo clocks are made. You may also buy one of the original cuckoo clocks as a souvenir and eat the famous Black Forest cake. Lunch will be served at Indian restaurant. Later proceed to Heidelberg and enjoy a photo stop outside Heidelberg Castle. From here, proceed for dinner at an Indian restaurant and stay overnight at the hotel in Mannheim area. (Breakfast, lunch and dinner). Drive from Heidelberg to Cologne and Amsterdam After breakfast, check-out and proceed for a scenic ride to Cologne. On arrival proceed for lunch at an Indian restaurant, after which we will visit the world heritage site of the Cologne Cathedral. After the tour, you will be taken to Amsterdam where you will take a canal cruise. After the cruise, enjoy dinner at an Indian restaurant and stay overnight. (Breakfast, lunch and dinner). From Amsterdam to Brussels After a continental breakfast, stop for a photo stop at the wind mill and then visit the famous wooden shoe factory. Later we visit the famous Keukenhof Gardens, popular for growing Tulips of all hues (till May 18, 2013). If you are visiting after May 18, you will be taken to Madurodam- the world famous miniature city Madurodam-a world famous miniature city. After this, enjoy lunch at an Indian restaurant in Den Hague. After lunch, you will be transferred to Brussels. On arrival in Brussels take a photo-stop at Manneken Pis Statue. This is followed by an orientation tour of Brussels city where you visit the world renowned Grand Place, Town Hall, Guild Houses, Serclaes Monument and thereafter, photo-stop at the Atomium—a 335 feet tall structure representing the concept of an iron molecule enlarged 165 billion times. Dinner will be served at an Indian restaurant after which you will retire for overnight stay at your hotel in Brussels. (Breakfast, lunch and dinner). 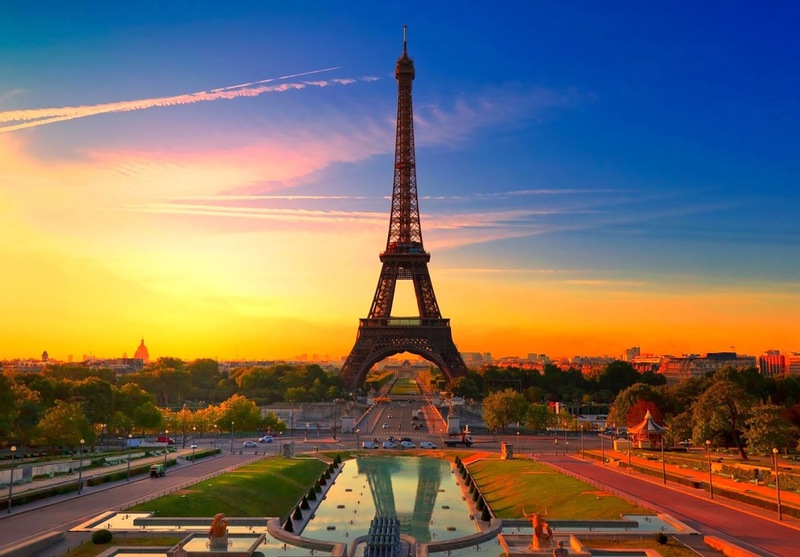 From Brussels to Paris After a continental breakfast, you will be transferred to Paris, one of the most romantic destination in Europe. Upon arrival, proceed for lunch at Indian restaurant. Later we proceed for a guided city tour of Paris which covers many of the city's iconic landmarks. At the western end of the Champs-Élysées, the Arc de Triomphe suggests an ancient Roman arch, only it's larger. The tour also includes Concorde Square, the Invalids, the Opera Garnier and Champs Elysees. Later come face to face with Paris's biggest landmark, the Eiffel Tower. You can climb up the 3rd level of the tower which offers a stunning view of the city. We then head for dinner at an Indian restaurant and return for your overnight stay at the hotel in Paris. (Breakfast, lunch and dinner). Paris and Euro Disney Suggested: Optional grand evening in Paris with Lido Show and illumination tour After breakfast, enjoy a full day excursion to Euro Disney and enjoy all-inclusive rides at the park. You may also opt to visit the Disney Studios where you will be amazed by the stunning stunt shows. Here you can also see real-life sets where famous movies were filmed. At this point, take a break to enjoy a packed Indian lunch. In the evening, we return back to Paris where you take cruise on River Seine. Later enjoy the hot and sumptuous Indian dinner at an Indian restaurant. We now suggest a grand evening in Paris that includes the world famous Lido Show followed by an Illumination Tour of Paris where you see the magically lit up famous landmarks of Paris. At the end of this rather exciting day return to stay overnight at your hotel. (Breakfast, lunch and dinner). Depart from Paris Post a nice continental breakfast at the hotel, check-out and proceed to Charles De Gaulle Airport to board your flight for back home. (Breakfast). ARRIVE CAIRO Welcome to Land of Pharaohs..!! Arrive at Cairo International airport, clear the formalities and our representative will assist you. Arrive at the hotel and rest of the day free at leisure. Later if you wish to proceed for (Optional) dinner cruise with Oriental show. Stay overnight at the hotel in Cairo. 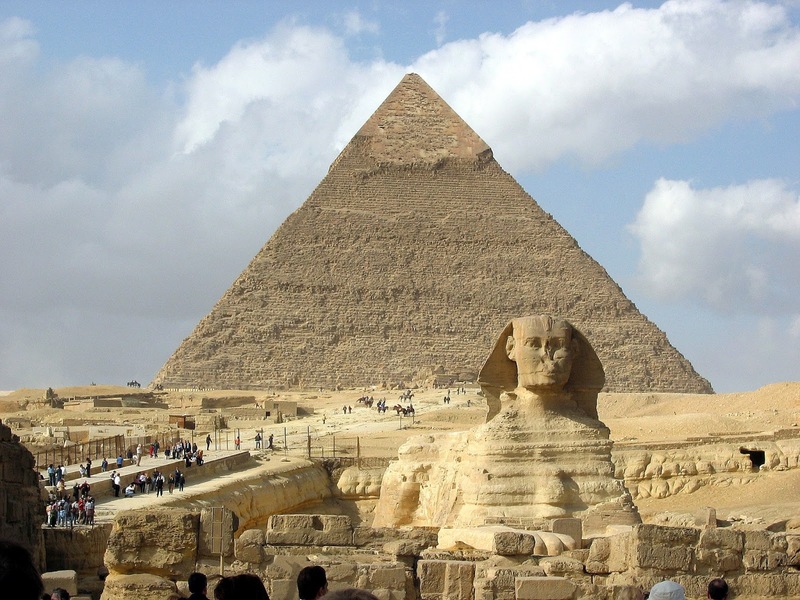 CAIRO – CITY TOUR After breakfast, proceed for the full day tour of the Cairo city which includes the visit to Great Pyramids of Giza and Sphinx, papyrus museum, perfume factory. Visit the famous Egyptian museum of Antiquities which includes the worlds largest Collection of Pharonicartifacts and the treasures of Tutankhamen's tomb. Later check out from the hotel and transfer to railway station to board the sleeper train to Aswan. Dinner and overnight on board the sleeper train. CAIRO – ASWAN – ON BOARD NILE CRUISE Breakfast is available board of the sleeper class train. Arrive at Aswan and transfer to the cruise boat and proceed to visit the High Dam, the Granite Quarries with unfinished Obelisk and the Temple of Philae. After lunch sail to Kom Ombo where you will visit the Ptolemaic Temple of Sobek &Haroeris. Later sail to Edfu. Stay overnight on board the Nile Cruise. Stay overnight on board the Nile Cruise. EDFU – ESNA – LUXOR After breakfast, travel by horse drawn carriages to the temple of Horos – The Falcon God in Edfu. This temple is considered the best preserved ancient temple. Sail to Esna, passing through the Esna Lock and continue sailing towards Luxor. Stay overnight on board the Nile Cruise. Stay overnight on board the Nile Cruise. NILE CRUISE – LUXOR Today visit the west bank necropolis including the Valley of Kings, temple of Hatshepsut and the Colossi of Memnon. Also visit the Karnak and Luxor temples. Stay overnight on board the Nile Cruise in Luxor. Stay overnight on board the Nile Cruise in Luxor. DISEMBARK NILE CRUISE LUXOR – HURGADA (APPROX 05 HOURS) After breakfast, disembark and transfer by bus from Luxor to Hurgada (05 hours). Arrive at Hurgada and check in at the hotel. Stay overnight at the hotel in Hurgada. HURGHADA – DAY AT LEISURE After breakfast the day is free to enjoy water sports like swimming and diving or just relax at the beach. Stay overnight at the hotel in Hurgada. HURGHADA – CAIRO (APPROX 08 HOURS) After breakfast check out and transfer by bus to Cairo. Arrive at Cairo and check in at the hotel. Stay overnight at the hotel in Cairo. DEPART CAIRO After breakfast check out from the hotel and transfer to the airport for your flight back home.